After looking at my times for my first triathlon I really needed to get a road bike, or something alot lighter to get me some better times, so I looked at my work places Cycle2Work scheme....this turned out to be an exercise in itself with the amount of hoops you have to jump through to get it and messing up my tax codes so I scrapped the idea. My dad on the other hand decided to help me out a little in the end and he really enjoyed watching the triathlon and seeing all the nice bikes in the transition area. 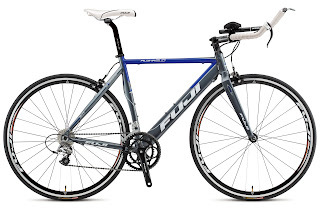 So after alot of looking in bike shops, looking online, getting reviews I couldnt decide which of the two bikes I really liked, one was a road bike, the other an entry level triathlon bike..The road bike would be more responsive on the road, easy to climb hills with, and a good all rounder. 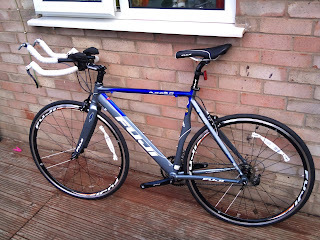 The tri bike however would be faster, more aero and save my legs for the run part of the triathlon. Seen as though I already had a bike I used to commute to work on and do long bike rides I decided to go with the tri bike as I can feel the need for speed and extra minutes saved on the bike, plus with 20% off end of year special I couldnt say no, so I got the Fuji Aloha 2.0. Just need to get out and ride it now, must admit it take abit of getting used too! Ive had it set up for me by a good friend at work called Bill who is into racing bikes, coming back from his garage I felt alot of difference and more comfort in riding it....plus hitting 30mph made me smile!. 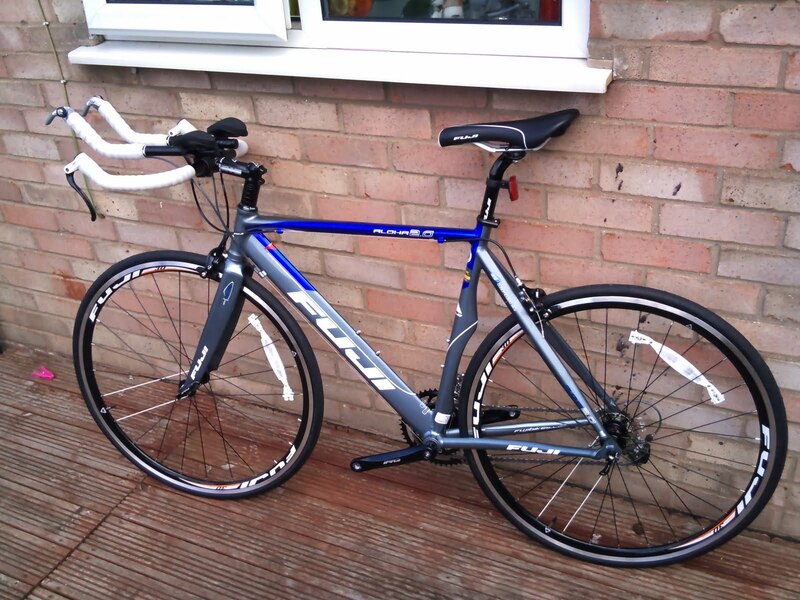 Fingers crossed the weather is good sunday morning for a 20k cycle.